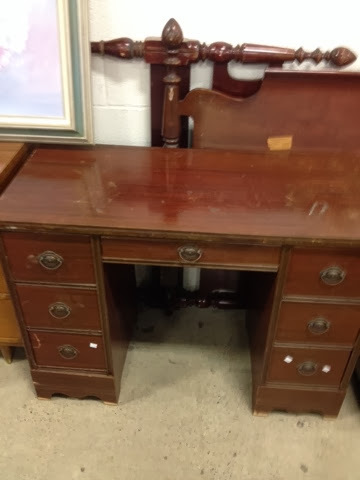 This lovely 7 drawer desk was 99 cents! Yes, your eyes are not playing tricks on you! 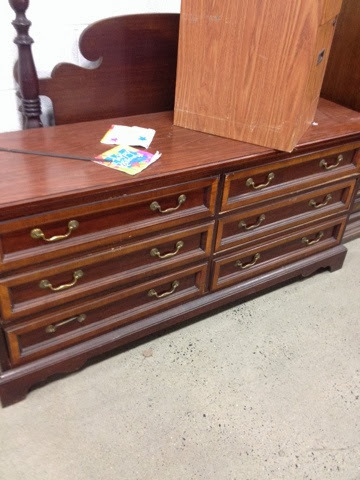 This 6 drawer dresser- 99 cents! 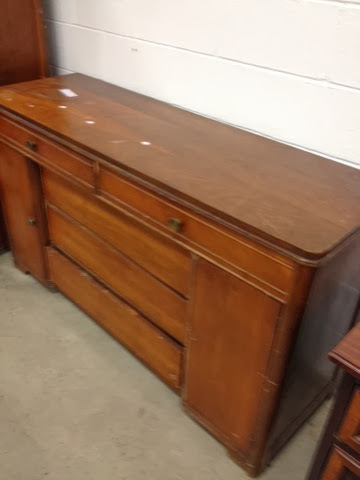 This beautiful buffet- 99 cents! 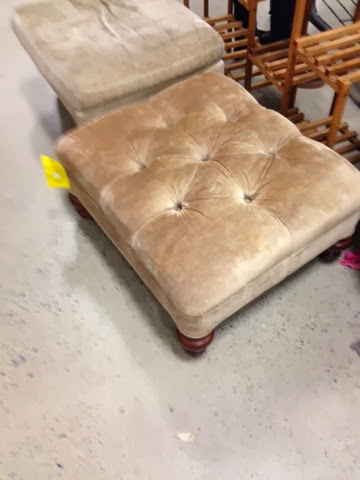 This overstuffed ottoman- 99 cents! 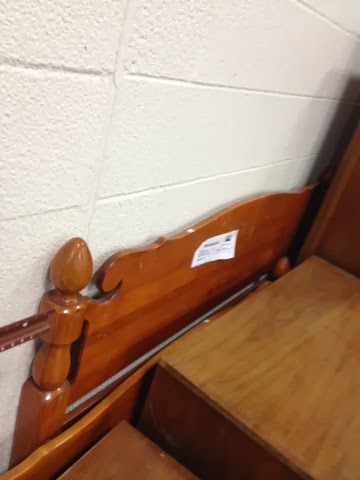 This queen size headboard and foot board was also 99 cents! 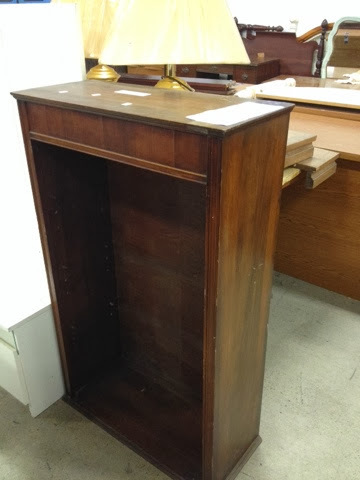 This bookcase- yes, it was 99 cents! I can't wait to get started on freshening it up and I'll post pics when it's done! !